Unexperienced workers can start oil careers in Colombia. Dishwashers, stewards, floorhands, roustabouts needed. In addition to good wages for oil drilling jobs offered by the oil companies in Colombia, the dynamics of the upstream sector has also benefited other companies specializing in services for the exploration and exploitation, safety, technology, telecommunications, transportation and food, among other. For companies that provide services associated with the exploration and production have the same wage policies to those of companies engaged in the extraction crude oil. Even some of the oil set companies specific conditions for its suppliers according to their corporate social responsibility policies. Among the companies in Colombia provide some guidelines for the management of its contractors pay are Ecopetrol and Pacific Rubiales. In any case, National ACRIP reports show that workers in companies that extract oil receive higher salaries than those who work in the contracting firms. The workers who focus their careers to the Colombian mining and oil drilling sector, since they began to work, earn higher wages than average. According to the Labor Observatory for Education, the monthly salary of new oil extractive industry professionals in 2011 was $ 2,208,755, while the national average was at $ 1,811,980. This same organization found that university programs are better paying petroleum engineering and geology ($ 3.5 million), followed by electromechanical engineering ($ 2.7 million), medicine ($ 2.6 million) and administrative engineering ($ 2 million). In this regard, the researcher of the Center for Development Research (CID) of the National University of Colombia, Joseph Stalin Rojas Amaya, said that the most demanding careers in the local oil industry are those who related to the oil exploration, such as geology, engineering geology, petroleum engineering and physics. At the same time, there are other careers that are less in demand because they are not directly related to extractive work, but they play an important role in its development such as economics and law, as well as social workers. Professionals with this profile also migrated to mining and oil companies, leaving the usual legal and consulting firms. Along increasing amount of stuff on rig there is a need to feed and treat them. That's why caterers and paramedics can also find their position on oil rigs. In offshore catering there are available positions of cook, chef cook, night backer, camp boss and others. Medics and paramedics are in lower demand but still have employment opportunity. With the return of ExxonMobil, the number one in the world, and the arrival of seven companies that come for the first time in Colombia, the National Hydrocarbons Agency (ANH) won 49 of the 115 blocks were offered to search for oil in the country. This was announced by the President of the Agency, Orlando Cabrales, who explained that these blocks were awarded to 27 companies in the next three weeks will sign contracts to receive investments of U.S. $ 2,600 million in the coming days. There one more way (for those who have no expertise) to enter oil industry and become insider. There are lots of unskilled jobs such as roustabout, galley hand, manual labor, floorhand, kitchen cleaner, dishwasher, steward. All of these job are not require previous experience but just need to pass some trainee courses and get certificate. The working day is the longest comparably to other industries, with an average sum of 80-100 hours per week. Meanwhile, free time available is one of the main attractions of this kind of work, taking lots to devote to personal activities or perform another trade. Colombia, an outstanding player in the region. According to the Oil & Gas division of Hays, in 2012 South America provided very competitive salaries offered to professionals. Now, Colombia, Brazil and Venezuela are the highlights of the region, among other countries that concentrated world's largest oil reserves. Brazil has one of the most competitive average annual salary of U.S. $111,000. However, in the case of Argentina and Venezuela compensation has not risen substantially. After all, the health of the Colombian oil & gas industry attract the attention of large international investors. This reality has benefited Colombian rig workers in the sector and this good fortune in the labor market has permeated other sectors of the economy. Revenues in this type of work are considerably higher than those of any ground work. In addition, the cost of accommodation, food and transportation are paid by the company, turning the experience into an important source of income. The life and working conditions in these platforms are hard. 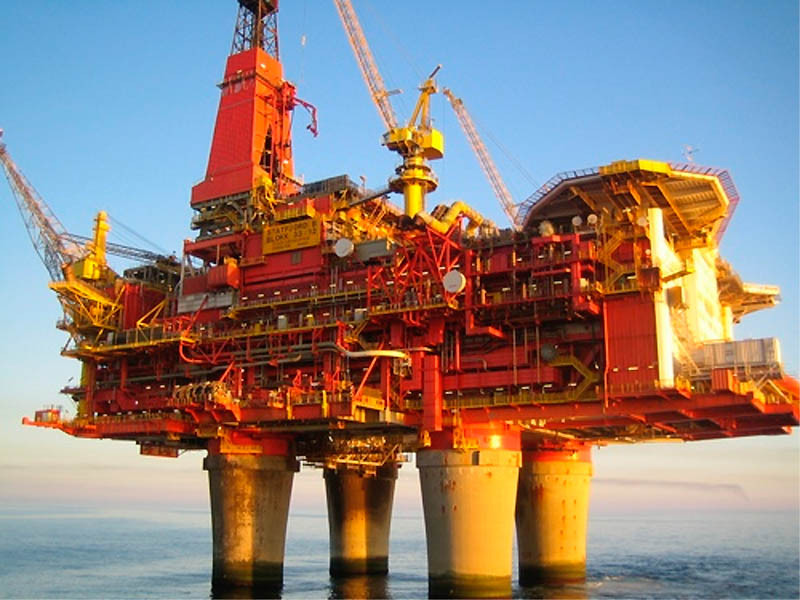 The offshore extreme isolation and conditions of extreme cold and heat are an issue to consider when accepting a job of such characteristics. You can work for Canacol Energy, Ecopetrol, Pacific Rubiales Energy, Synergy Group. Why not? In case you have no experience at all the quirkiest way to enter offshore oil rigs is to get there as any general laborer, for example as dishwasher. Probably, this is not too graceful way but the most rapid. After you get your first offshore job you can participate in various training and gain some skills to get higher position. Today many entry level dishwashers vacancies are available in Kazakhstan, Brazil, Saudi Arabia, United Arab Emirates, United Kingdom, United States , Dubai, Bahrain, Oman, Kuwait, Egypt, Iraq, Jordan.